While industry colleagues can appreciate the "art" of engineering design, it isn't every day that we are a part of a true art installation. The Decatur Parks Foundation, along with the Decatur Park District, Children's Museum of Illinois, Decatur Area Arts Council, and Neuhoff Media, began conversations in October 2015 for an exciting, accessible, outdoor art development in Scovill Park. Shortly thereafter, the idea was proposed to a private philanthropist, who invested $250,000 to fund the project in its entirety. The Scovill Sculpture Park lies between Decatur's Scovill Zoo and the Children's Museum of Illinois. Every year, the zoo hosts 100,000 visitors, and the Children's Museum of Illinois sees 65,000. The sculpture park serves as a connection between the two facilities; encouraging visitors to enjoy all three amenities. It is comprised of one permanent piece and 12 sculptures that are rented from the artists for two-year period. At the end of the rental period, 12 new sculptures will be chosen, providing a new arts experience for the community every couple of years. Chastain provided design engineering and construction layout for the more than 800 feet of walkways. 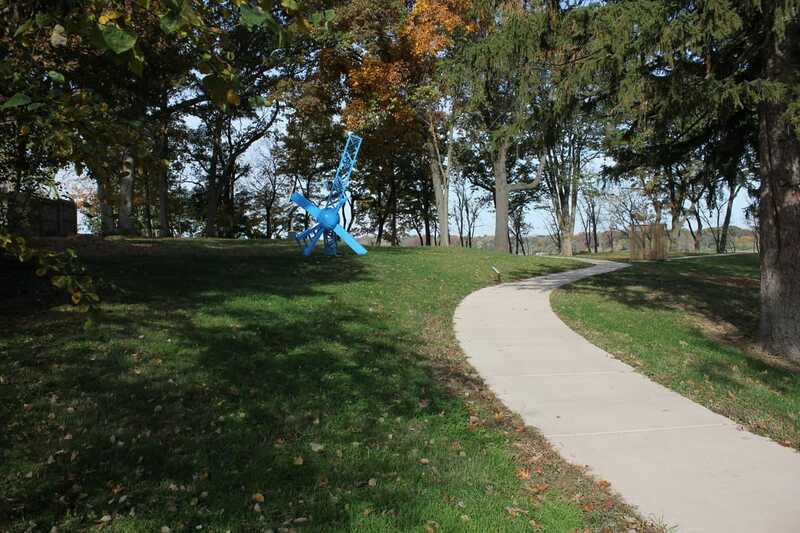 Chastain worked closely with the Park District and Arts Council in order to position the walkways in desirable sculpture locations and to ensure the walkways complemented the surrounding landscape while providing an accessible path for all to enjoy.